UPDATE: Suspect arrested in crash that closed Division Street between I-205 and 102nd Avenue. 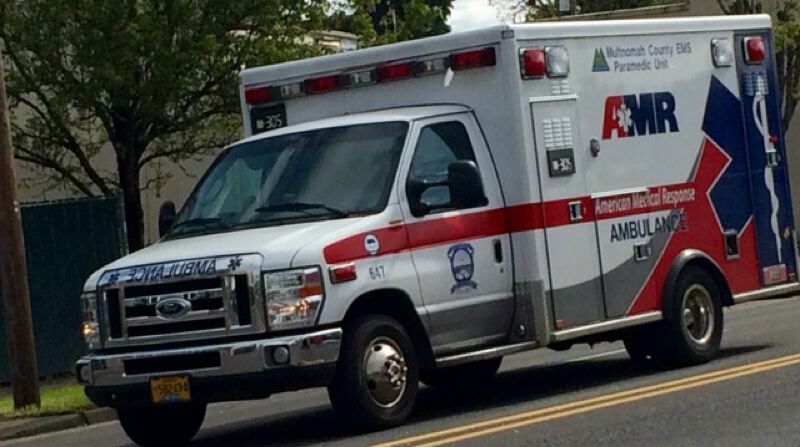 Police have arrested a suspect in a Sunday morning that injured two people — one seriously — in Southeast Portland. Guzman Espinoza, 25, was lodged at the Multnomah County Jail on charges of Assault in the Second Degree, Driving Under the Influence of Intoxicants, Reckless Driving, and Reckless Endangering. Police say Espinoza was the driver of a black Suzuki four door sedan that hit a Honda CRV. He sustained minor injuries. The female driver of the Honda suffered life-threatening injuries. Her name was not immedatley released. The investigation began at 8:52 a.m. on Aug. 26 when East Precinct officers responded to the report of a two vehicle crash at the intersection of Southeast Division Street and Southeast 96th Avenue. When officers arrived at the crash scene, they located two vehicles that appeared to have been involved in a crash. The driver and only occupant of one of the vehicles was suffering from what were believed to be serious life-threatening injuries. The driver and only occupant of the second involved vehicle was assessed by medical personnel and believed to have suffered minor injuries. Emergency medical responders provided medical aid to the injured people and transported them to area hospitals for treatment ambulances. The Portland Police Bureau Traffic Division's Major Crash Team (MCT) responded to lead this traffic crash investigation. Criminalists with the Forensic Evidence Division also responding to assist with the investigation. Based on the initial investigation, members of the Major Crash Team believe Espinoza was traveling east on Southeast Division Street and the driver of Honda waa travelingnorth on the ramp from northbound Interstate 205 to Southeast Division Street at the time of the collision. Investigators believe one of the drivers failed to stop for a red light and traveled into the intersection. During this investigation, Southeast Division Street was closed between Interstate 205 and Southeast 102nd Avenue. The highway on-ramps and exit ramps from and to Interstate 205 in the area of Southeast Division Street will also be impacted by this investigation. The road closures will also impact TriMet service in the area. The closures are expected to remain in effect for four to five hours after the crash.